A Hotshot Bit By The Shutter Bug : The Picture Show Hotshot Gregg Boydston, 25, plans to fight fires for the rest of his career. His plan B? Photography. Recently featured on Instagram's blog, he shares some insights about shooting under fire with The Picture Show blog. "Two of the crew rookies sitting back while the head of the fire crosses the road and burns for the next ridge in its path. The adrenaline that this sparks up is just something I can't explain. The sound it puts off is something I can't compare; maybe a train?" 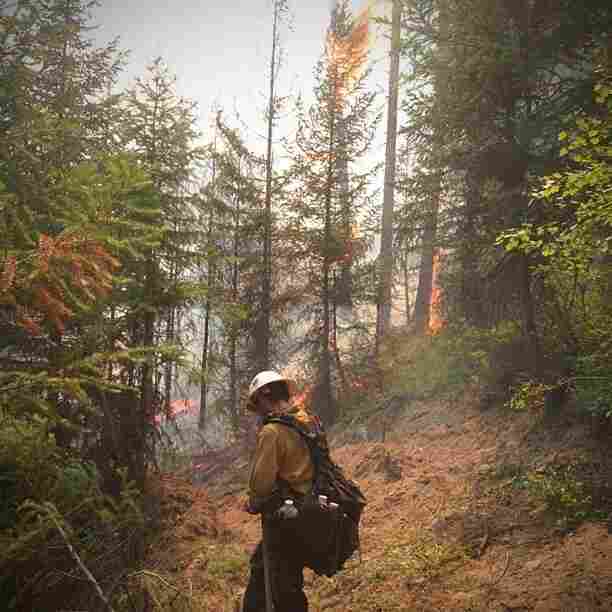 "The Klamath Hotshots cutting some fire line. 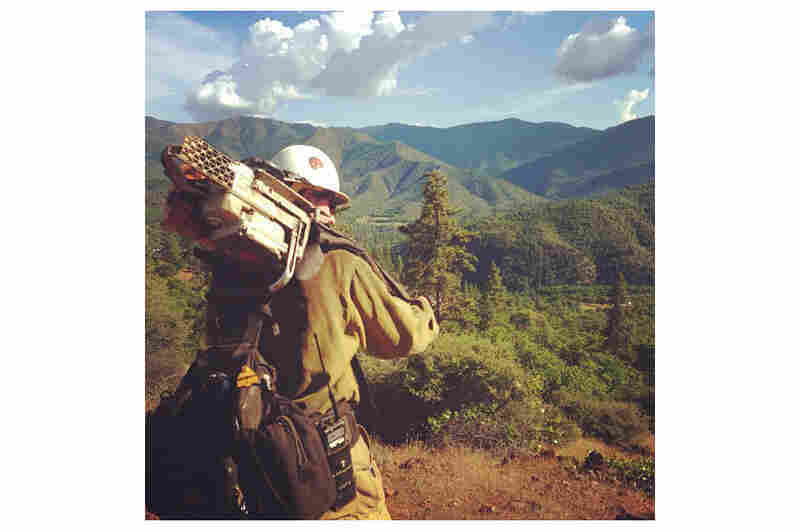 You know it's a good day on the fireline when you look at each other at the end of it and everyone's two front teeth are covered in dirt from working hard but smiling just as hard." 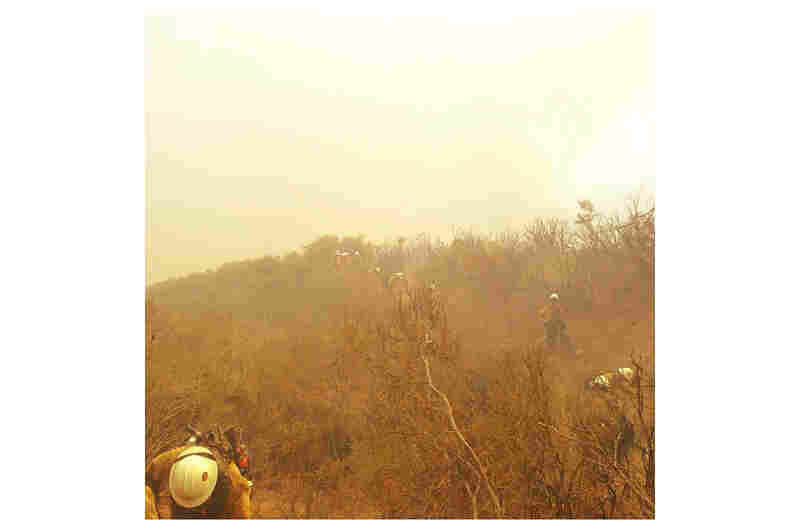 "There is this intense feeling that is nearly indescribable when fighting a fire. 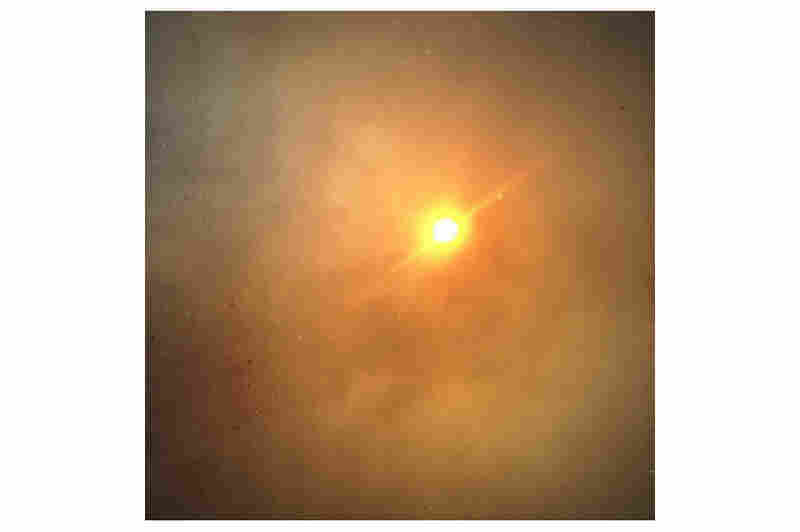 When the fire is really rippin' and the dark smoke column lays over and blocks the sun, everything turns to this extremely deep red glow. Your adrenaline rises, your vision narrows, and you attempt to keep focus. 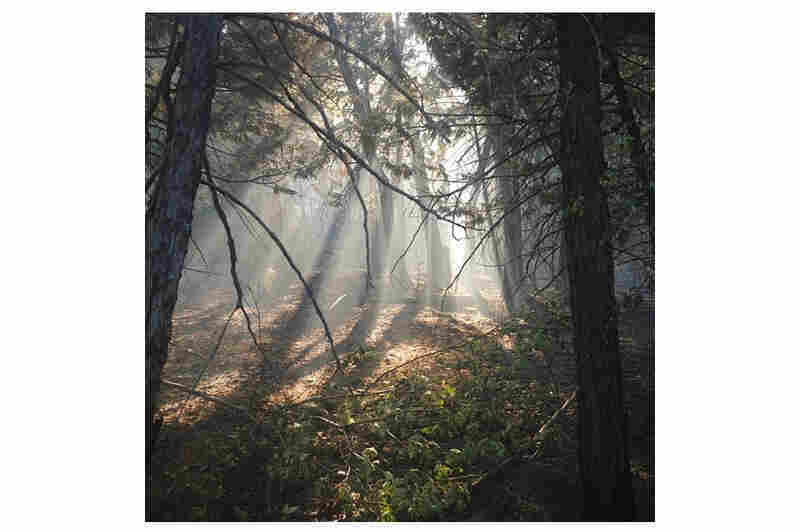 Not many people experience this and very few people have this as one last experience in their lives ..."
"Besides making me money, forest fires are good for other things. 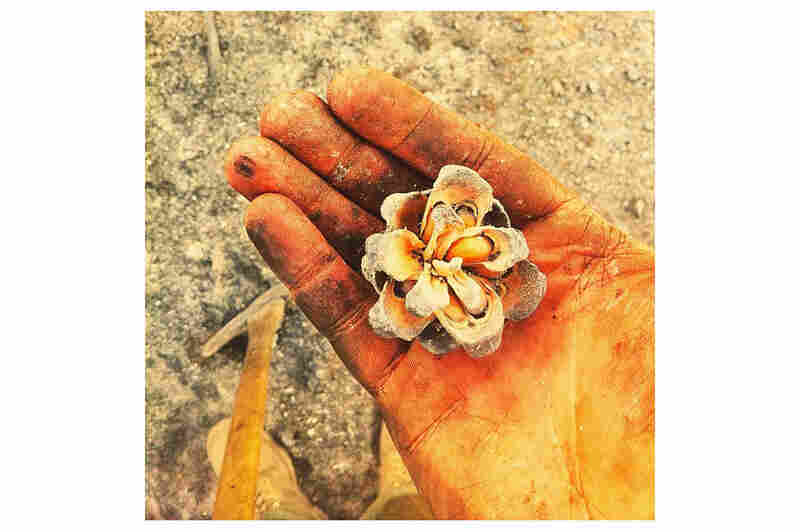 ... Pinecones don't open up unless they are introduced to fire. Then they can release seeds into the healthy ash to make the forests better and I got to see that process. Yay for fire!" "Chit chatting with the helicopter, finding out where we still have hot spots. Oh and my grandpa drove up to have dinner with me in Santa Clarita today. I was allowed to sneak away from the crew for a couple hours." 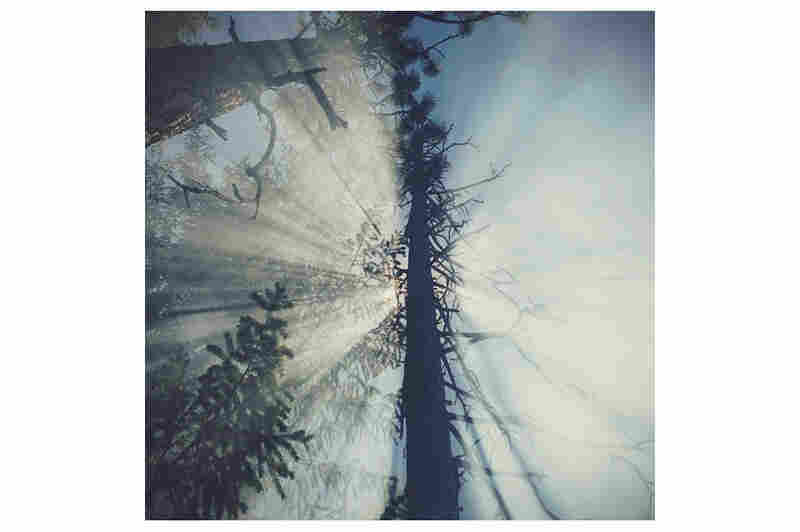 "It's trees like this that you want to stay away from." 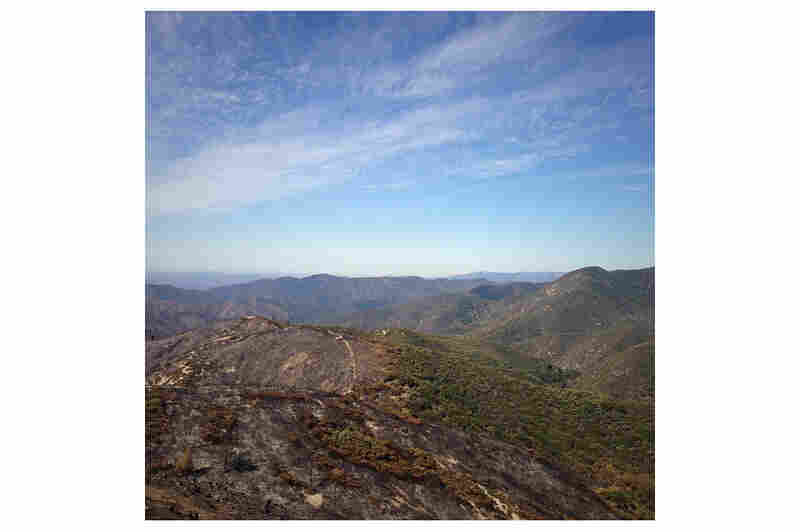 "The hiking I expected but there are few locations that we went to that I just stopped and thought, 'What did I get myself into' and then I looked around and I was at 11000 feet on top of a mountain ..."
"Well, Santa Clarita, Lancaster, and Palmdale, are safe for now. This fire is out." "Not exactly a walk in the park." "When a forest doesn't have a wildfire for a long period, all the duff and down trees create a large amount of fuels for future fires. ... I was really surprised we caught this one at just over 1 acre because there was a really large amount of dead fuels." "The smell ... it sticks with you. It's almost like cleaning out your fireplace, a really heavy, ashy smell. Your vision is so blurry because of the smoke." Several years ago, I was driving through Northern California when an eerie orange hue flooded the landscape. 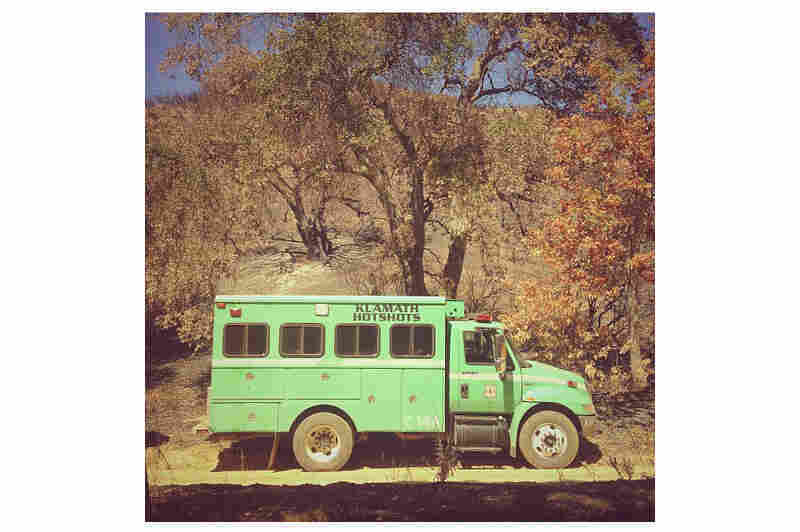 It took several more miles to see the plumes of smoke in the distance, the charred hillsides — and the occasional firefighter seeking some shade near the road. 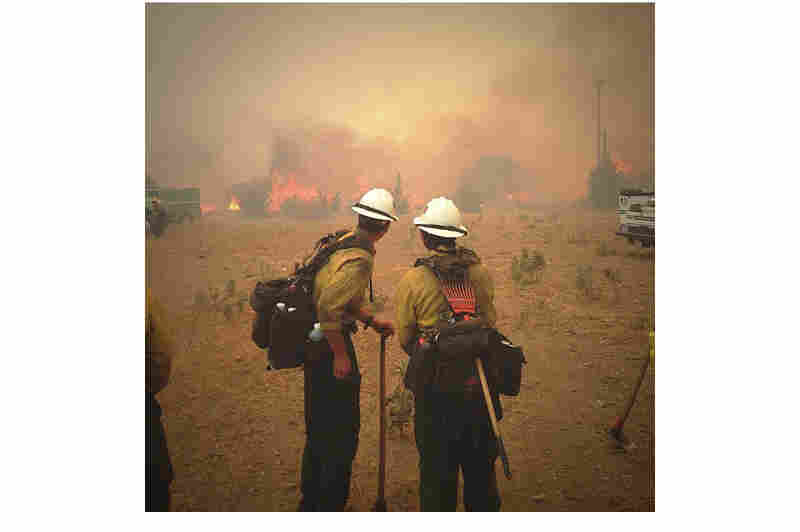 Wildland firefighter and photographer Gregg Boydston in Arizona. You know it's a good day on the fireline when you look at each other ... and everyone's two front teeth are covered in dirt from working hard but smiling just as hard. "What is life like for those guys?" I wondered. 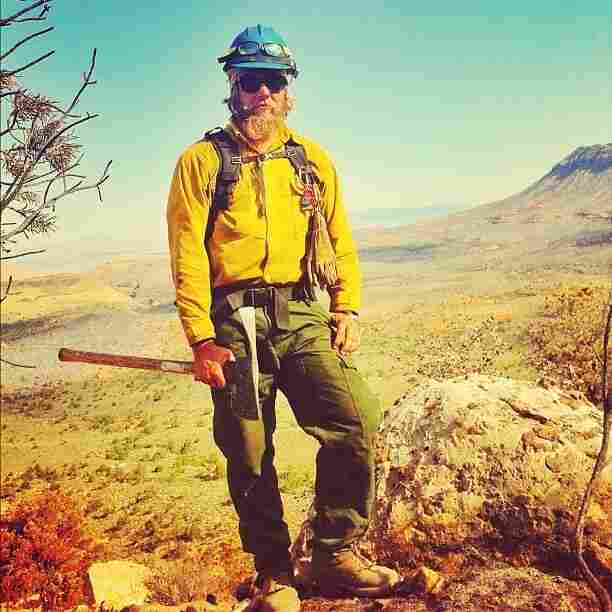 A few weeks ago, in the wake of the Granite Mountain Hotshots tragedy in Arizona, Instagram's blog highlighted Gregg Boydston, a wildland firefighter whose field photographs give a rare glimpse into the life of those who run toward the fire. But I still wanted to know more, so I called him up. "You have to become comfortable being uncomfortable," Boydston, 25, explains. 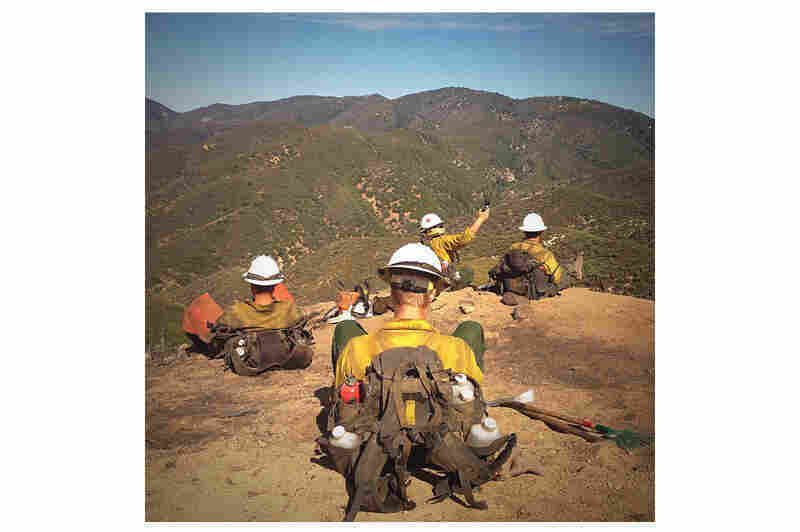 He is in the midst of his second fire season and his first on a hotshot crew — an elite team of highly trained firefighters. The days are long, stretching from 5 a.m. to 7 p.m. or longer. 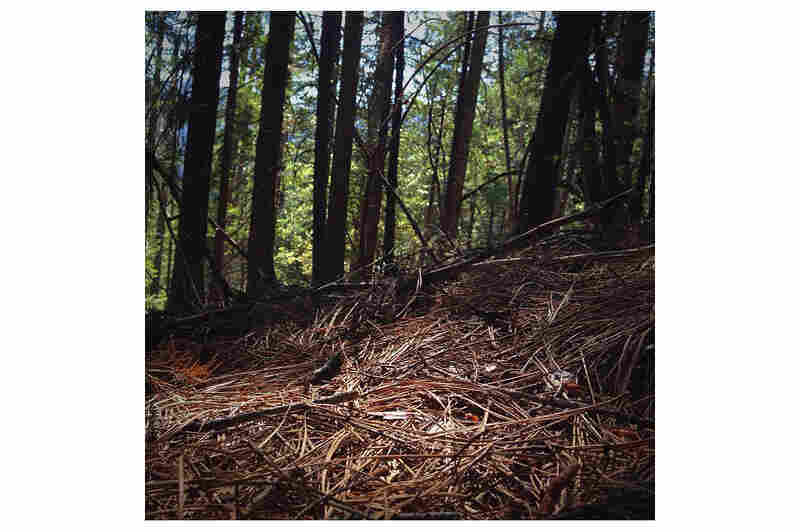 They cut fire lines, burn backfires, and mop up hot ash piles smoldering in the undergrowth. Then it's back to camp for dinner, chores and maybe, but not frequently, a shower. "You're so dirty and so focused on getting things done. Your legs are sore from hiking all day, from carrying all your gear and stuff for the chain saws," he says. "Your leather boots rub your feet raw." The pace is relentless, but hotshots are the best of the best. According to the U.S. Forest Service, they must be in peak physical condition: capable of running 1.5 miles in 11 minutes or less; doing 40 sit-ups in 60 seconds; and hiking three miles with a 45-pound pack in 45 minutes. Still, Boydston says, no amount of training can fully prepare you for the work. "The hiking I expected," he writes in one caption, "but there are a few locations ... where I just stopped and thought, 'What did I get myself into?' "
And there's the heat, which, he says, literally "takes your breath away." On the other hand, Boydston also says he didn't expect to enjoy it so much. 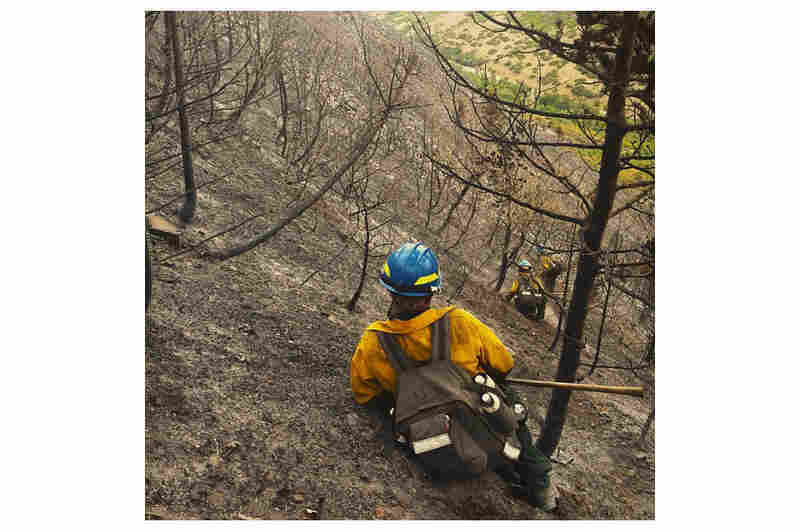 He intends to spend the rest of his career fighting fires, but the work is demanding, and he is only 25. So I asked if he has a backup plan.